The Joe Andruzzi Foundation appreciates your interest in supporting our mission through third-party fundraising. 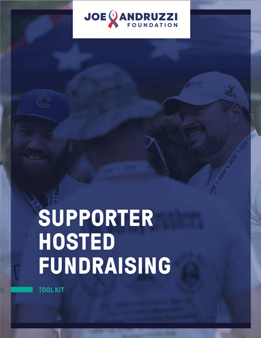 Please review JAF’s Supporter Hosted Fundraising Toolkit, as well as the Terms and Conditions (listed below), before completing the following Supporter Hosted Fundraising application. Applications should be submitted at least six (6) weeks prior to your event/campaign. Please allow us 5-10 business days to respond to your application after we receive it.